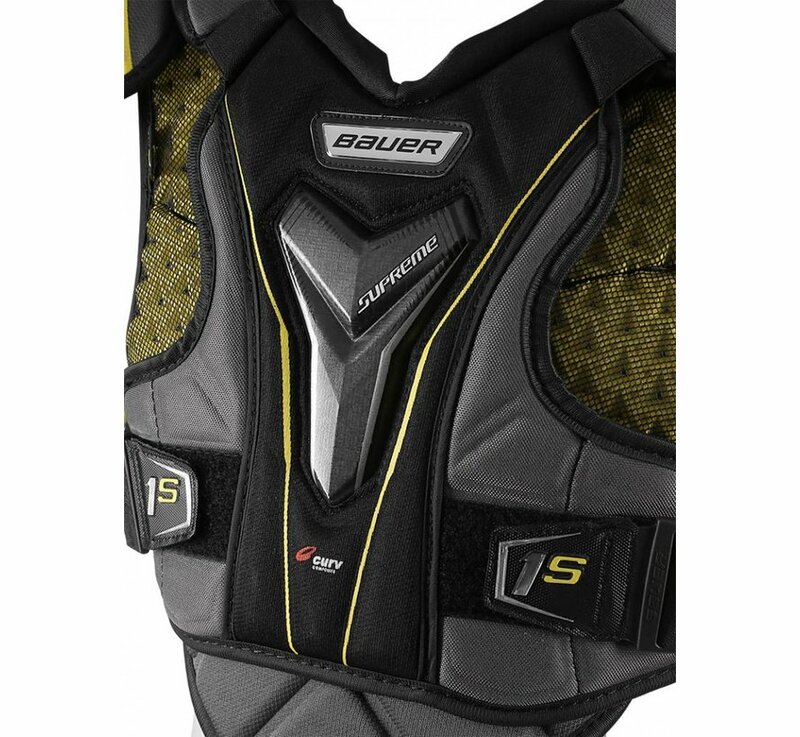 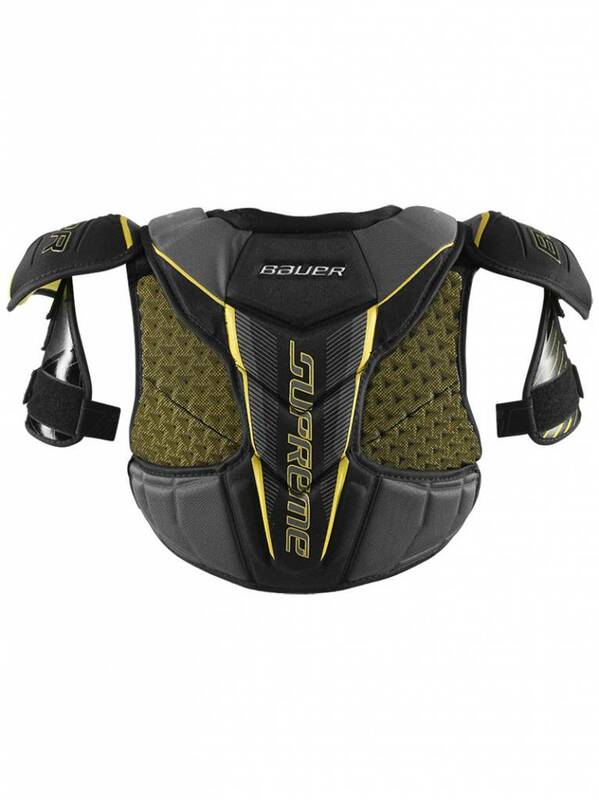 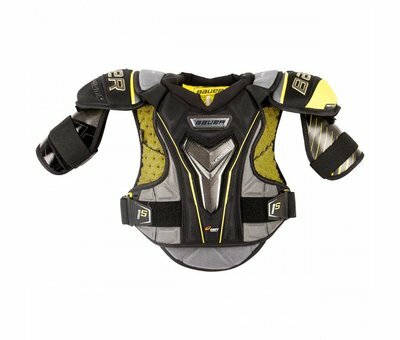 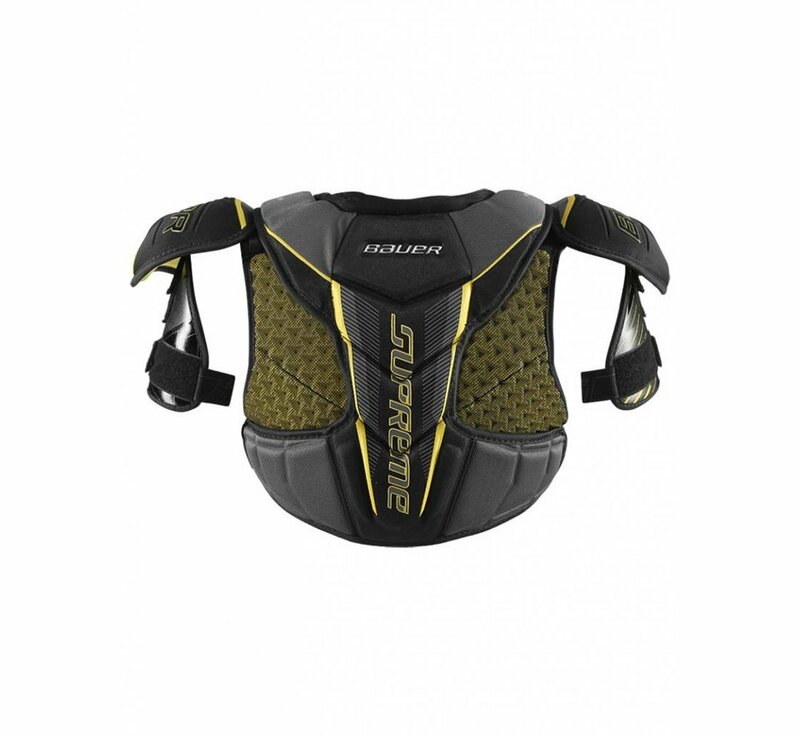 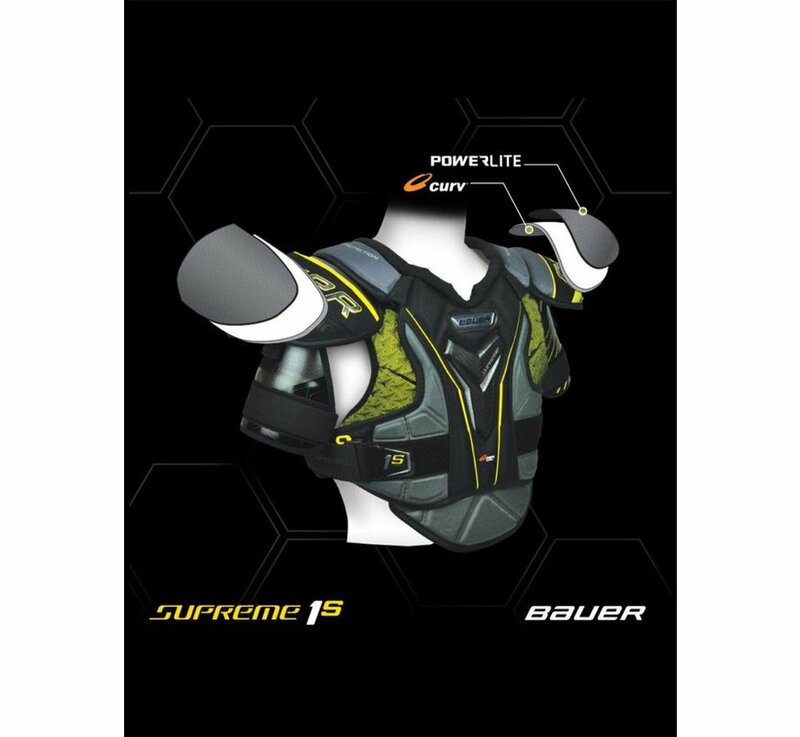 The Bauer Supreme 1S Shoulder Pads are the lightest, best fitting and most protective shoulder pad from the Supreme Line to date. 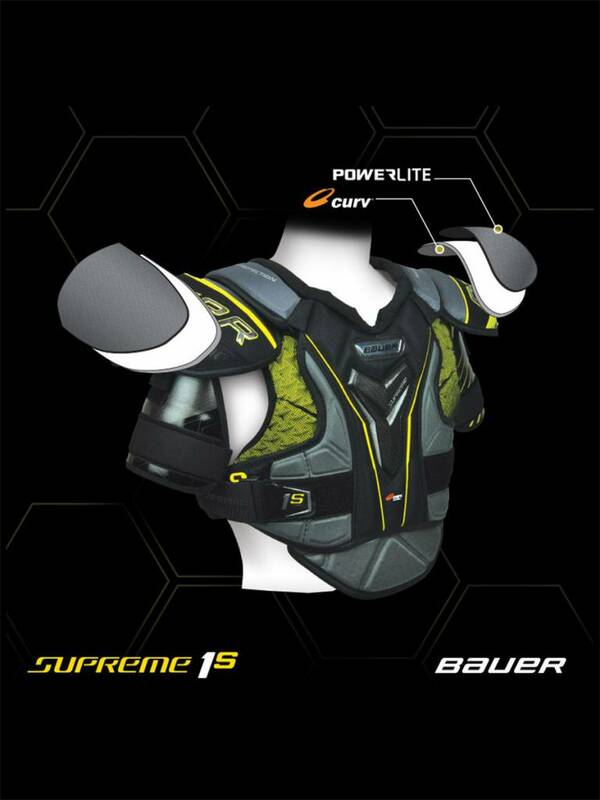 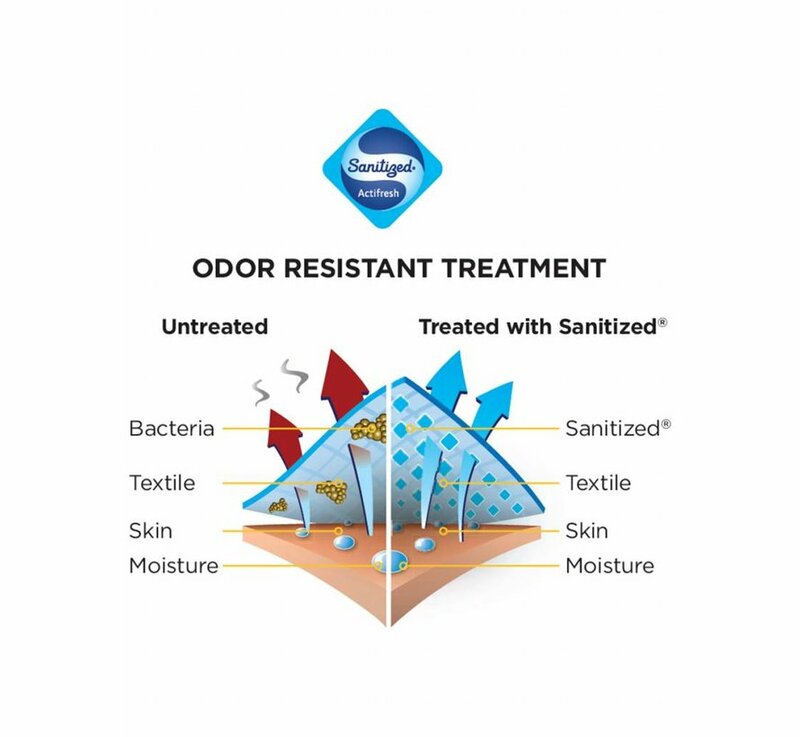 Bauer removed weight and increased protection by the extensive use of Curv® composite in the bicep, sternum and shoulder areas. 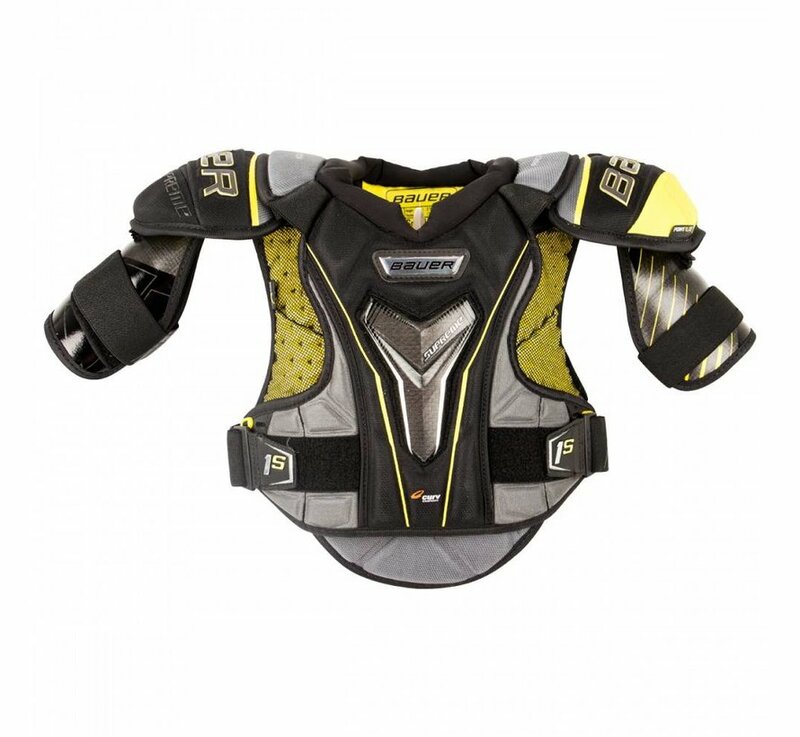 The PowerLite Technology and its OD1N roots are also in the shoulder caps and allow them to sit lower and more anatomically on a player's shoulders. 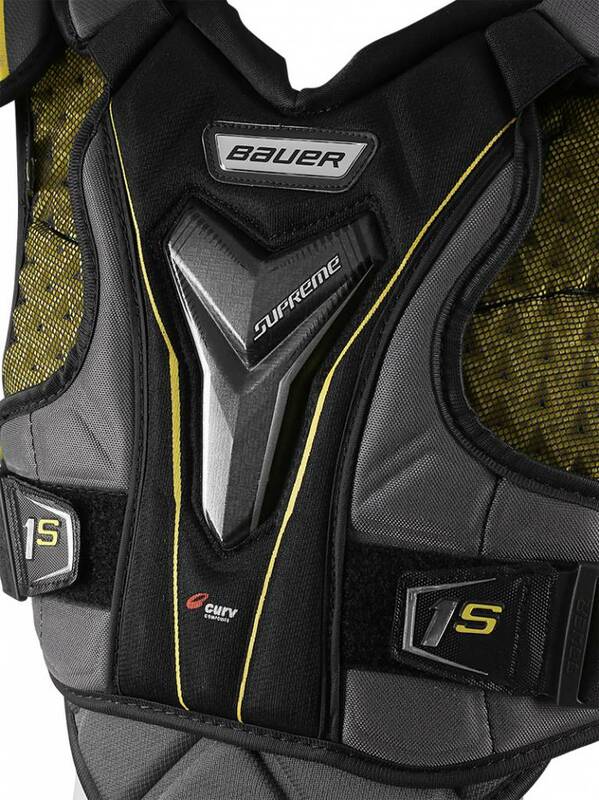 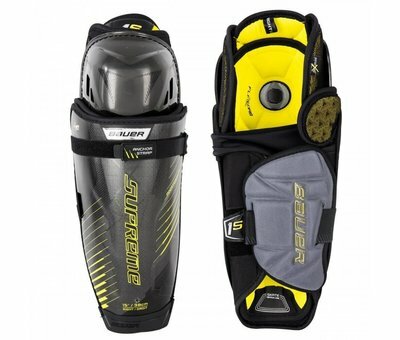 Bauer Supreme 1S Combo Sr.